Read more about Spring Art Exhibit : Dogs, Cats & Other Pets with or without Their People. 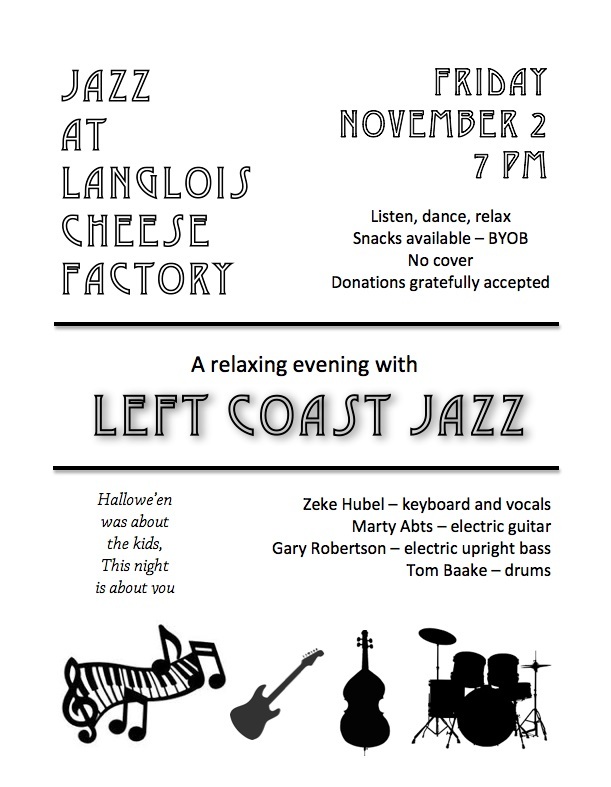 It’s been a while since we played at the Cheese Factory here in Langlois. Please join us in an evening of live music, listen, enjoy dancing and chat with friends - November 2, 7pm.